Interactive Workshop based on John 15! 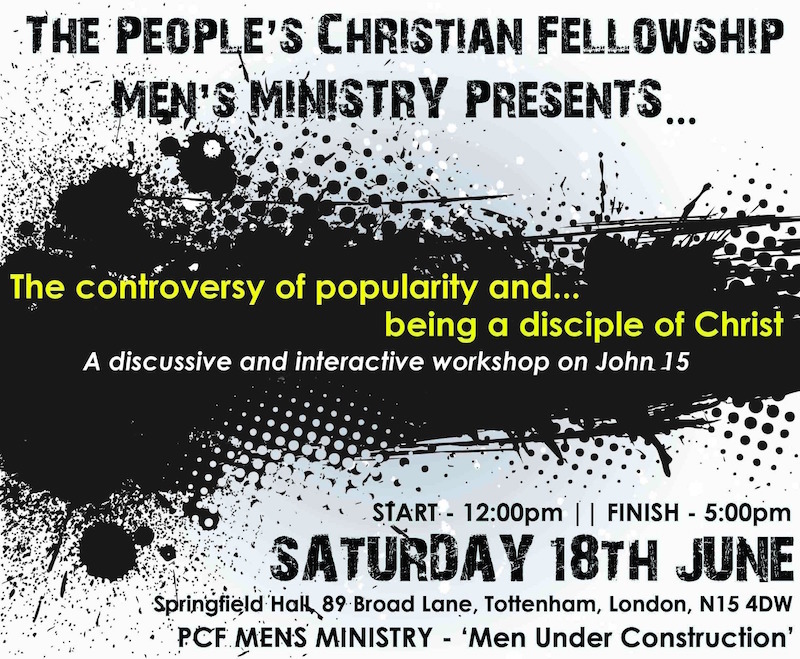 Join the PCF Men’s Fellowship on Saturday 18th June, to participate in an active discussion around John 15. Taking place at Springfield Hall, the session will start at 12pm. For more information, email mens@tpcf.org.uk. Tagged on: 18th June 2016 John 15 Men Under Construction Mens The controversy of popularity and being a disciple of Christ!